WHAT INFLATION? « THE BRYCE IS RIGHT! – Are prices going up or is it just my imagination? 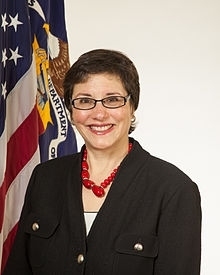 The Commissioner for the bureau is Dr. Erica L. Groshen who manages a 2,500 person organization which is the principal fact-finding agency for the Federal Government in the broad field of labor economics. Translation, they are number crunchers. It is Dr. Groshen’s group that is charged with sampling the prices of consumer items and calculating the Consumer Price Index. I therefore presume they are sampling products from around the Washington, DC area which must be pretty cheap if the 0.84% inflation rate is any indication. This is all well and good for Washington, DC, but I suspect the rest of the country is operating at a much higher inflation rate. For example, have the prices at the grocery store been going up or is it my imagination? I have a friend who owns a restaurant and complains he is now being charged $30 more per month to have his grease trap emptied. His produce, bread and coffee bills are up as well. At my local supermarket, steaks are $13-$15 a pound, bread is about $2.50 a loaf, and shellfish is prohibitive. Just about everything else is $5 each, including fruit. I realize we no longer live in the 20th century, but don’t try to tell me the rate of inflation is descending. Dr. Groshen, please send your minions to the Tampa Bay area of Florida and test our prices. We must be operating on a different wavelength than Washington, DC, and I suspect the rest of the country. Don’t insult us though by stating unequivocally that inflation is a mere 0.84%. I will wager that the people who calculate our inflation rate are the same knuckle heads who claim the unemployment rate is down to 4.9%. Gallup’s “Real Unemployment” rate of 9.7% is a much more credible figure. The problem is such statistics have been politicized to con the American public to believe that things are better than they actually are. I’m just wondering what the purpose of the U.S. Bureau of Labor Statistics is if they cannot provide statistics the American public can believe. NEXT UP: PROACTIVE VERSUS REACTIVE MANAGEMENT – We have plenty of time to do things wrong. LAST TIME: WAITING ON DOCTORS – Why can’t they meet you on time? This entry was posted on October 10, 2016 at 7:00 am	and is filed under Economics. Tagged: Florida, palm harbor, The Bryce is Right, tim bryce, What Inflation. You can follow any responses to this entry through the RSS 2.0 feed. You can leave a response, or trackback from your own site.